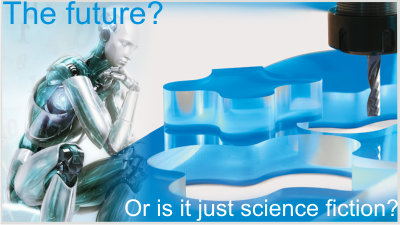 Will Robots Replace Humans Anytime Soon? Much has been achieved in the field of robotics in the last half decade alone. Enough to have us asking ourselves where the line is in discovery and innovation of modern manufacturing engineering. Many years ago the automotive industry introduced robots as a much more cost effective method of producing automobiles off the assembly lines that changed the face of automobile manufacturing forever. After all, robots can work 24 hours a day 7 days a week, often times unattended. They make no mistakes and no demands. They simply do what they are told to do without compromise. But where do we draw the line in production manufacturing where decision-making and human interaction are unavoidable? Should we adopt policy that going forward Robots must identify themselves as robots – and can’t impersonate being a human being? Two hundred years ago 70% of American workers lived on farms. Today, automation has eliminated all but 1% of their jobs, replacing them and their work animals with machines. Those who once farmed have gone on to create and man legions of factories that produce farming equipment, automobiles and millions of every day consumer products that we all love and take for granted. It is predicted that 70% of today’s occupations will be replaced by automation. The CNC manufacturing process has continued to consistently evolve with new emerging technologies for over 25 years, yet we still need human life engineer CAD designs, interact with far away clients and teams. Not to mention program CAM software to efficiently machine parts. Yes, machines have gotten smarter, faster and certainly more productive with mill-turn, 5 axis, multi-tasking CNC automation and beyond. Human beings are responsible for this innovation and development. Indeed, CNC manufacturing is a land that seems to have avoided the rise of robots. This is a place where automation has announced itself in the form of CAD/CAM/CAE technology that will continue to require educated human beings with the skills to keep CNC machining alive and well for decades to come. Even with the advent of highly acclaimed additive manufacturing and 3D printing revelations. How Does Robotics & Manufacturing Come Together? Let’s not knock robots too much though. Robots can continue to increase manufacturing capacity by creating specialized robots for each automatable task. 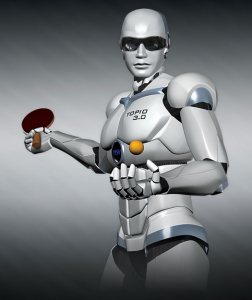 What would life be like without the next generation of robotic toys, like a table-tennis-playing humanoid. More seriously, robots that explore where humans cannot, like the depths of the ocean or faraway planets in the name of science and discovery. 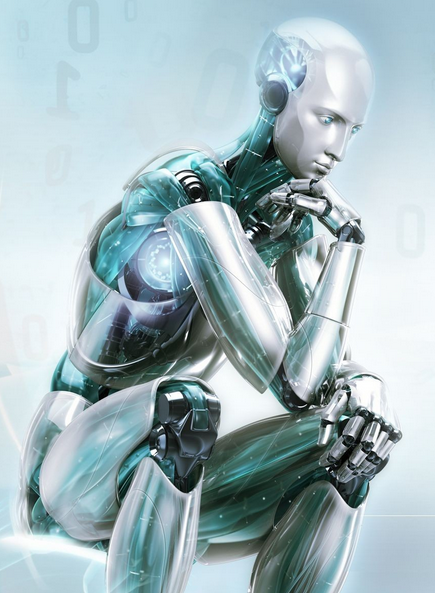 It is important that we support the training and development of Robotics Engineers. In fact most universities and schools that teach robotics engineering include Robotics courses with training in hydraulics and pneumatics, CADD/CAM systems, numerically controlled systems, microprocessors, integrated systems, and logic. It usually takes four to five years to earn a bachelor’s degree in engineering. Some colleges offer work-study programs in which students receive on-the-job training while still in school. Most universities that offer robotics courses have well-equipped labs with lasers and CADD/CAM equipment. The important thing to remember is that human beings created robots to help us manufacture the future smarter, faster and more profitably than ever before. Such an alliance is critical to the development of the future for all of us. The future is coming faster than we sometimes realize it. 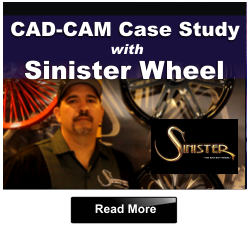 For BobCAD-CAM the future is here now in terms of their CAD/CAM CNC machining software technology. BobCAD-CAM software is all about automation and providing the solution of programming parts faster, smarter and easier. Machining Wizards step the operator through the process of selecting tools, cutting strategies and creating G-Code programs the easy way. 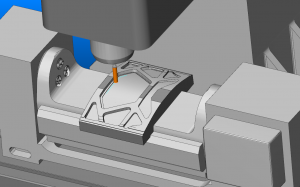 Dynamic Machining Strategies™ reduce time consuming geometry-machining strategy selection tasks and customizable post processing ensures that successful interaction can take place between the software and CNC machine tool controller. Built-in CNC simulation functionality allows the operator to inspect toolpaths, machining operations and eliminate errors that can be costly. The BobCAD-CAM v27 software is the largest release the company has ever produced, completely revitalizing the CAD portion with CAD Design history tree, dynamic drawing and much more. The end results for manufacturing? Less steps, better cuts and more profits for the user on every job the software is used on. Improvements in streamlining workflow, process, reduced cycle times and better throughput results. The end result of human operated CAD-CAM programming is a pile of chips and a perfectly finished part. Something a robot is currently unable to produce. The point is that Design & CNC manufacturing processes and technology will always be more successfully achieved through human interaction with robotics used as an agent of help along the way. A Production Machine Shop isn’t likely to have robots running around supervising, planning and producing parts for clients any time soon. How much of that is really automatable? How does manufacturing engineering and robotics come together? Learn more in this article.